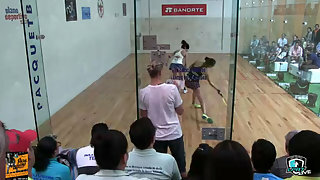 #2 Maria Vargas vs. #3 Rhonda Rajsich LPRT Paola Longoria Experience Semifinals. Live from San Luis Potosi, Mexico. Which one of these elite players will advance to the finals?